As I endeavor to persevere, through moments of doubt, not that I can’t do this, but simply “how am I going to do this?”, I learn just a little more. 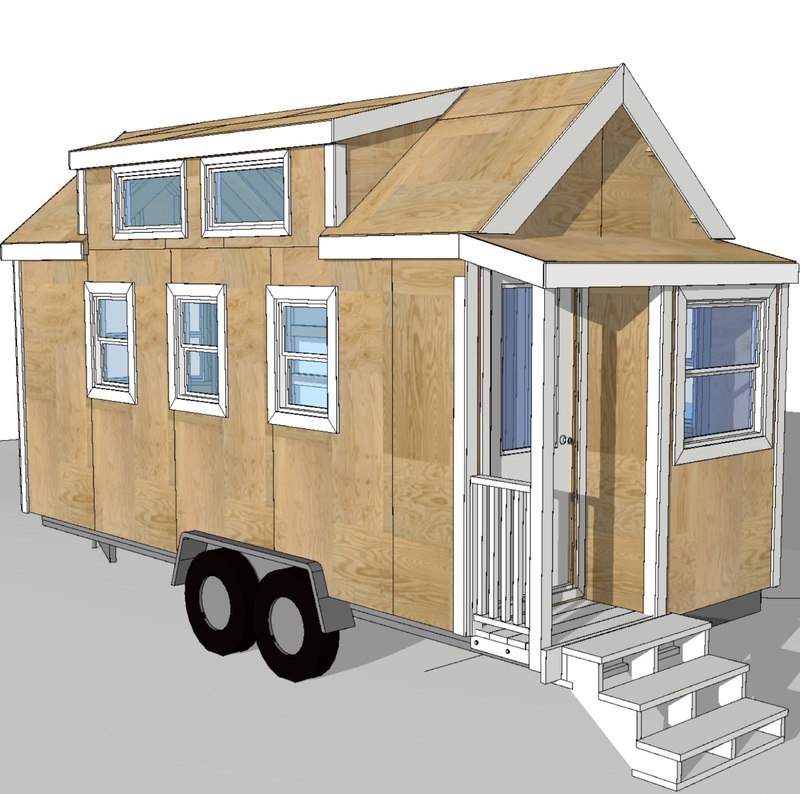 Building any structure has it’s challenges, but building a tiny house on wheels in New York City,…well that’s a whole other story. Unchartered territory. First I must find a build site. Given the fact that there are not many open green spaces in Queens, I quickly realize that I must become creative in my quest to build. Except for a few public parks and privately owned spaces, including warehouses and other businesses, there are not many spaces to build on. I live in an apartment with no yard or property to speak of. Reflecting on these obsticles or minor bumps in my road, I decide to write up a proposal about my vision of freedom and sustainable living. In this proposal I discuss my vision of building a tiny house and why. The fact that I want more of less is the more prominent message that I am trying to send out. I want a smaller life for many reasons; freedom, both financial and material. I want to consume less and give more, whether, to the earth or humanity. I want more time to travel, do mission work, spend time with those I love, and serving my community. My first stop is a lovely park a block away from my apartment which sponsors artists and their works. It is a lovely small park with access to materials, electricity and a great open space. It also closes at sunset and opens at sunrise which means it is secure. It would be a dream to be able to build here as proximity and security are ideal. I approached the director who was intriqued by my project, but, building in this park for one’s personal “gain” is not supported. It is specifically geared toward artists who apply for a fellowship. The project then becomes part of an exhibit and stays up for about six months. The director did encourage me to apply for the fellowship for Spring of 2016 as he says that my prroject is sustainable in origin and artistic in nature. He feels that it will also give something back to the community when it is completed and I do an open house. He cannot guarantee me a fellowship but feels that I should apply. Next I stop by my neighbor, who owns a metal company and, I might add he is a talented and gifted writer and poet. The warehouse has a lovely backyard filled with scultures that I can see through my bedroom window. I remember moving in and thinking that there was such a good energy being surrounded by art. I approach Jim and give him my proposal and discuss my vision and project with him. He is so generous with his time in the middle of the work day that I immediately felt a connection and a sense of great understanding from him (I will mention his company at a later time as I don’t want to be presumtuous at this point). Jim is genuinely excited about my project and since he houses and sponsors other artist there, he especially likes that I want it to be a community endeavor for all to enjoy. He shares about growing up in this same neighborhood and his childhood. He speaks about his own visions about art and community and how important it is that we all connect, if this project is to be done on his property. We left off on a positive, yet tenuous note as there are some logistical issues that need to be cleared before he gives me the okay, but he did not say “not possible” and that is a start. So, if like me you are planning on buildilng in a city where there are some issues with space, don’t be afraid to ask around. My experience has been mostly positve when speaking to others about my tiny house project. Somehow, it resonates with people and mostly they seem to be genuinely supportive and even a little excited. I mean honestly, tiny houses are just beyond cute and fascinating. *Local businesses and warehouses (I live in a somewhat industrial area). *You local city enviromental groups. *Anyone in your community that has space and vision for sustainable living. **Keep in mind that you need; easy access to your project for building, space dimensions that afford you the room needed (my tiny is 8’6″ by 20′ and about 13’5″ in height), electricity, a place to safely store materials, and a place that you can get to easily – not one that you have to travel too far to get too. You want to be able to access your project whenever you have time available to work on it. Mostly, Don’t Give Up. There will be challenges as I am finding, but I assure you that people are fascinated by our movement and it seems many want to help and see it succeed. I am ever so grateful to live in a city where Art and Community are something to be proud of and encouraged.